Science and technology curriculums are often thin in K-12 education, and may not be enough to provide students with a solid foundation in STEM upon which to build. 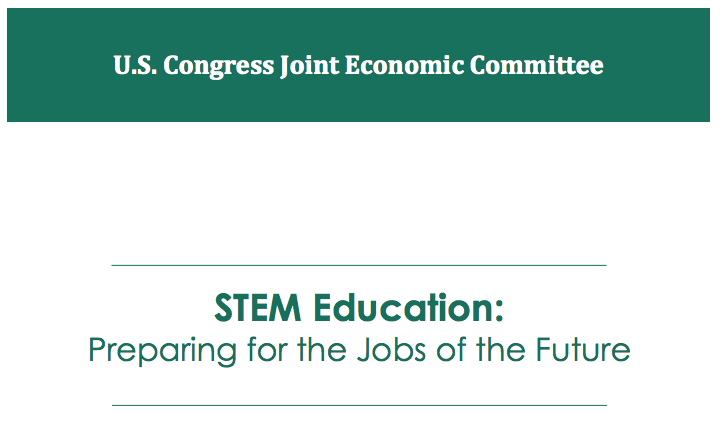 Part of the problem is that it is challenging to attract and retain STEM-trained individuals to teach STEM subjects at the K-12 level when higher wages and employment opportunities outside of the education sector make working in a STEM profession an attractive alternative. Furthermore, while the quality of math and science teaching is the greatest factor in improving student achievement in STEM fields, not enough K-12 math and science teachers have hands-on experience working in STEM. Teachers may also lack an educational background in STEM. For example, the National Science Foundation (NSF) found that 36 percent of middle school science teachers and approximately 30 percent of middle school math teachers lack in-field training. Finally, there is the matter of culture. While not easy to quantify, to the extent that math and science are not considered “cool” among image-conscious high school students, inevitably many talented young people will be turned off from pursuing degrees and careers in STEM fields. Women may be particularly unlikely to pursue STEM as a result of gender and cultural norms. Lack of a science and math foundation at an early age, underprepared teachers, cultural issues.... can it be fixed? I encourage everyone to read the report.